Plus, if you didn’t win festival tickets in the very popular BLOODSTOCK website’s Easter Egg hunt, fear not, you could win a pair at one of the upcoming BLOODSTOCK raucous club nights – the first batch of party nights detailed below! 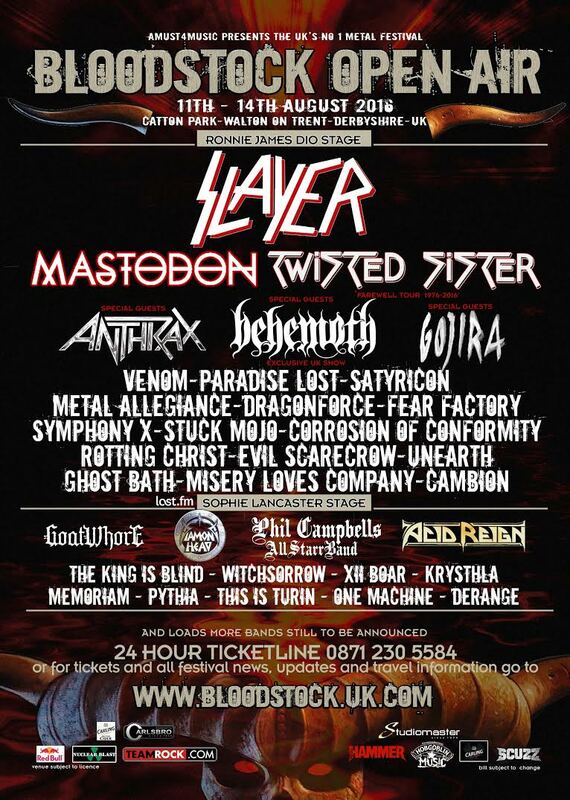 Have you watched the brand new BLOODSTOCK 2016 trailer yet? Turn up your volume. Popcorn not included.